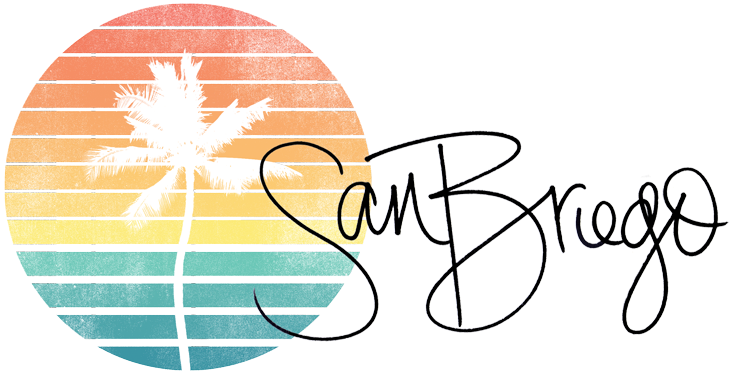 If you're looking for the perfect date night restaurant in downtown San Diego or visiting America's Finest City and in need of a great place to have dinner in the Gaslamp, look no further than Rama Thai. One of the biggest transitions I made when I left New York City was leaving behind all of the great Italian places that I used to frequent almost daily. 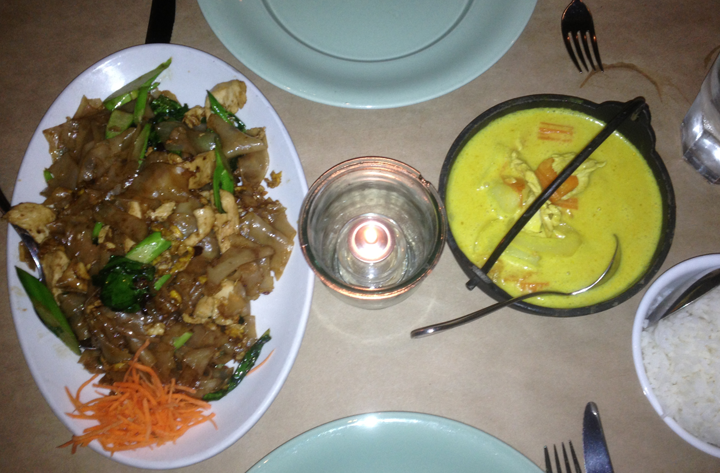 Thankfully, I have a new favorite that is as plentiful here as Italian is on the east coast: Thai food. Thai restaurants in San Diego are everywhere, but Rama Thai stands out: it's the first Thai restaurant I've been to with such a great combination of atmosphere, cocktails and delicious food. By the time we started in on a couple of appetizers it was around 7:30pm and the restaurant was just starting to get packed. There were a lot of couples on dates, a birthday party in the back corner and a few co-workers enjoying drinks at the bar - a pretty decent crowd for a Tuesday night. We ordered the Kratong Tong first (in the photo above), which was so, SO good. It's a little bowl of minced curried chicken, potatoes, and carrots that you spoon out yourself into miny crispy shells. Ryan also got the Wonton soup and was enjoying that when I had to stop myself from devouring all of the Kratong Tong so that there would be some for him to try. Choosing our dinner selections was really difficult: everything on the menu looked tasty. Ryan ended up getting the Pad See-ew and I ordered Yellow Curry and white rice. Both of our choices were amazing and super filling. We each ended up having enough for leftovers for lunch the next day. Because the restaurant opens right into a front patio, I can't wait to head back to Rama for dinner on a warm summer night. 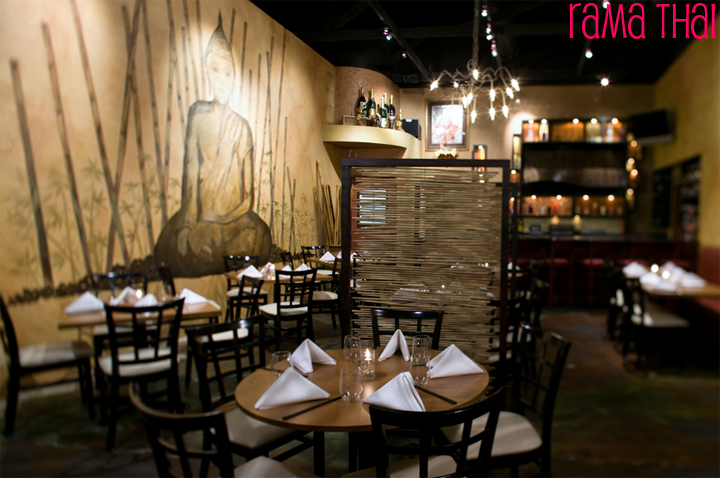 I highly recommend making Rama your dinner destination the next time you head downtown to the Gaslamp! I LOVE Rama!! We used to live down street and went all the time. The fresh spring rolls are amazing! !